Date: 26 July 2019 @ 2:00 – 5:00 P.M. – 28 July 2019 @ 1:30 P.M.
For many, silence has become a rarity in today’s world. Think about when you last had an opportunity to hear your own breath, sit alone with your thoughts, or pray without distraction. Chances are that it has been quite some time. Consider joining us for a Silent Retreat to change this. Feel free to stay just one night or to stay all weekend. Optional guided reflections will be offered each day to ensure that you get the most out of your retreat. 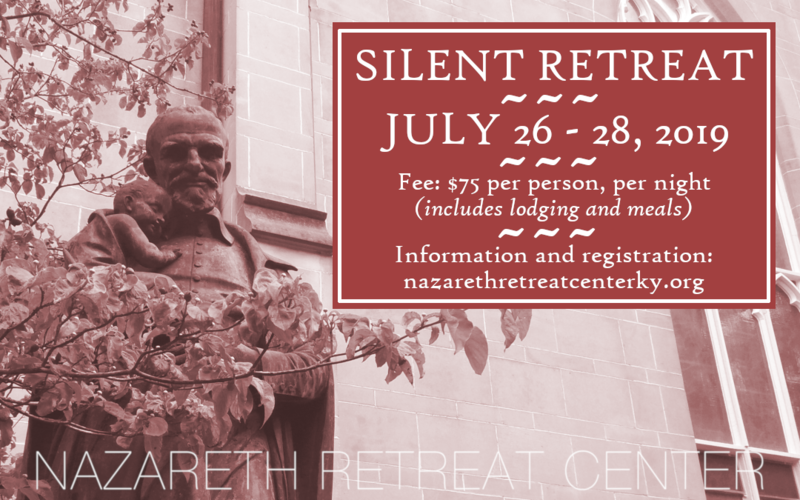 This retreat is open to all. Opportunities for Mass in the historic St. Vincent Church are offered daily. A $50.00 non-refundable deposit is required within ten days of registration to reserve a space. The balance is due ten days before the event. Which retreat do you wish to attend?